This article is a 'how I did it' of converting from a full-time employee to an independent contractor with my own business. The target audience is any technical employee that's been around a block or three that has had some exposure to consultants and contractors, either affiliated with a company or independent, and wants some background information and motivation on how to become independent themselves. 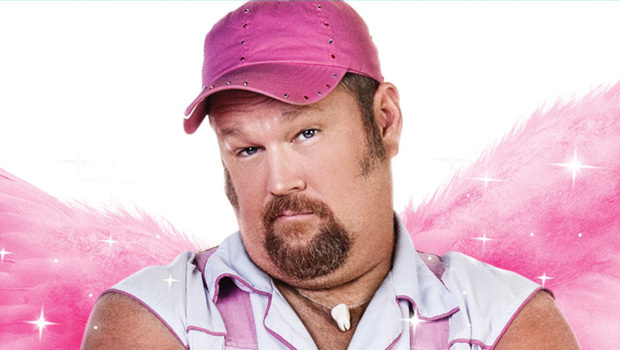 Disclaimer: I'm not a lawyer, CPA, IRS agent, or your fairy godmother. Just a guy that’s been there and done that as an independent gunslinger. None of what you read below implies a contract or a guarantee, so you can't sue me based on this advice. Having said that, pop some popcorn, grab a comfortable chair, strap yourself in, and enjoy the show. How to get a job. There are plenty of those articles out there. Any technical skills that would help you get a job. You're on your own there. Wow, you received a 0.74% raise? That's one of the bigger ones. Be happy with it. 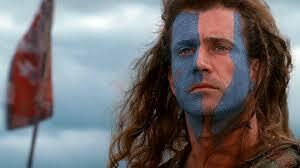 Mel Gibson knew how to declare Freedom!! By picking and choosing your assignments, you control when you work, how much and for whom. This is very attractive if you have a personal situation that doens't work well with a standard 8-5 Monday-Friday office situation, such as working at home due to distance or domestic obligations, or workers with seasonal hobbies like biking, running, or skiing. Contracts are much easier to get then a full-time position, and you can always contract for the short term, and if a long term bigger / more stable / whatever W2 job comes around, you can take it on your terms. IT contractors typically make more than employees, both because of their temporary nature, and the cash equivalent of whatever particular set of company benefits a W2 employee would receive, such as health care plan, other insurance, and any benefits unique to that company. Most benefit packages are standard across companies of the same size, although in my case additional company benefits varied from Northwest Airlines (you can fly free anywhere there is an empty seat) to a mail-order pharmacy for lifelong diseases (you don’t want the benefits). This is even greater if you have a working spouse where you can get decent medical benefits through their plan, which frees you up to go for the cash. IT contractors get paid for all of their effort and time. Many companies will pressure employees to work extra hours to help a system go live, or find a bug over the weekend, and to do so without pay. Since contractors are hourly, employers will normally go first to employees to work unpaid, and only if that is not available to them, to contractors to work paid. Most companies since 2000 have greatly reduced their training budgets, and were unkind to employees that asked for thousands of dollars for training sessions relevant to their job. "Buy a book and learn on your own" was a response I heard from multiple employers. Being independent means that you are in complete control of your training and career progression, not a single employer. Recently I saw a former CIO of mine share a LinkedIn article to the effect of a question “Do you realize how much it would cost to send our employees to training?” with a response of “Do you realize how much it would cost if we didn't?” Kind of ironic since training dollars were so scarce during his tenure. One of the biggest benefits to being a contractor is immunity from company politics. A contract is typically not dependent on other people and their career aspirations, proper attendance at meetings, joining alliances, working unpaid overtime, and espousing the proper opinions. Employees don’t expect you to engage in politics and it’s wise if you don’t. Also, should politics result in your contract ending, it is must easier to pick up another contract than it is for a full-time employee to find another full-time position. There can be wild swings in the hours your work, and therefore the money you earn, based on when works is available and project deadlines. Example: I had to work 225 hours one December on a project that *had* to be completed by the end of the year. The following January I worked 60 hours and was given 7 days notice after project completion. That check was huge, but the hours didn't go over real well with the family. Want to learn something new? Contractors are less likely to be paid to learn new skills as a full-time employee, so if you want to go down a new road chances are you'll have to rely more on taking classes and self-study, or actively seek learning assignments at a low enough rate. Being on your own means leaving a group plan for an individual plan, which means a HUGE cost increase. The last time I was on an individual plan, a family of four with $100/month in medications for one of them ran about $480 a month for a plan with a $20,000 (yes, that's twenty thousand) dollar annual deductible, which means that the health insurance doesn't kick in until you've paid that much. Similarly, Accidental Death & Dismemberment ran around $700/year as opposed to 'oh yeah, you get that too'. Life insurance was the same amount, other than the typical 'you get x times your salary for free here'. The existence of the US Affordable Care Act has increased premiums beyond this, and introduced a possible $2,500 tax for not having health insurance altogether, although it has been stated that there is no pre-existing condition criteria. I haven't had to go out on the open market in the last year, so can't confirm this from personal experience. Planning for time off can be trickier as you also have to allow for any gaps in between contracting engagments, and that loss of revenue. And with more frequent changes in clients compared to being a full-time employee, there may be some situations where clients aren't wild about starting you at a certain date if you will have time off soon after. You need an online presence where anyone interested in hiring you can see what you’ve done, maybe where you’ve been, everyone can see about what you’ve done. All hiring managers, whether full time or contract, need to get a sense of where you are at in as short of time as possible, and the days of saying ‘I have an AA degree’ or ‘I have three years experience at Company X’ as sole prerequisites for contracts are long gone. My website at jimhorn.biz is an online portfolio of my services, with links to my resumes, people and groups I'm affiliated with, and articles I've written. One way to ease into going out on your own is to get a part-time client or two while you’re still working, so that when you eventually declare Freedom!!! you have at least an income stream. Many companies will employ accountants that have not passed the CPA exam, lawyers that have not passed the bar, medical personnel that have not completed school, etc. but in the space it takes to convince someone to contact you (and when you’re not around if they’re looking at you online), it helps to have some certifications, as they tend to answer a bunch of questions. Articles, Whitepapers – Proof that you know your stuff, have an opinion, and can communicate clearly. Volunteer Time - You may not have had a paying job in something, but you volunteered your time to do something close. Sole Proprietorship - Quickest way to start a business. Paperwork only license/permits. If one owner and not set up any other way IRS considers you sole proprietorship. All income goes on your personal tax returns. General Partnerships - Create a written partnership agreement Division of profits/losses, draws, procedures for selling a partnership such as first option to sell out. If multiple owners and not set up any other way IRS considers you a partnership. Close to being married, but (insert your own jokes here). All divided income goes on your personal tax return. Limited Liability Companies (LLCs) - Least audited of all business entities. Benefits of a corporation (Limited liability for owners, division of equity if needed), simplicity of a partnership. Pass-through taxation of business profits. Can capitalize assets into your balance sheet. S Corporations - Similar benefits to an LLC, but audited less, although it is widely believed that with the current administration if you make over $250k in income they are audited more. They require you fill out the IRS form 2553 within 75 days of incorporation. Consult with a small business lawyer, or another business owner that has recently gone through this exercise, for current advice. Reminder: See disclaimer at top of article. Doing Business As (DBA, also Request for Reservation of Name) – Allows you to function as a certain business name. General Liability - Most agencies will ask for proof of general liability insurance, which is essentially a million dollar policy that costs you $350 a year in case you break any property at the client’s site. Since all of my gigs were SQL Server and Access development, I figured the biggest thing I might break was a coffee pot. So this isn't the best expense, but many gigs require it. Errors and Omissions (Professional Liability) – Covers you in the event of an error or omission on your part that causes a financial loss for your client. Typically only required for higher-profile engagements. Most banks and credit unions offer business accounts that don’t charge much for a business with a small amount of income. Get a VISA bank card and checks, and all checks you receive for services are deposited into this account. Payroll companies such as ADP and Paychex offer small business payroll services, where if you want to pay yourself $x they will take $x + 20%ish in employer taxes out of your business account, then pay your $x – employee taxes, then handle the tax payments and forms for you. Currently Paychex is charging me $49 per payroll, with some extra money for quarterly tax filings. Considering how much time it would take you to learn how to process your own paychecks and tax filings, this is WELL WORTH IT! 60-70% of your gross is paid via payroll. 0-15% of your income can be paid directly to a qualified 401k program. 20%ish of your income can be paid directly to you as a distribution, for running your business and spending all of your time soliciting work, training, and presenting. This is taxable income on your personal taxes, so if this amount is large plan on making quarterly tax payments, and if small plan on having cash on hand come tax time. 5-20% left over is for training, hardware and software purchases, mileage or home office expense reimbursement, and other expenses. Your personal work expenses are subject to 2% AGI / 7% Medical. Your business expenses are completely deductible. Now that you're on your own, all expenses can be paid by the business, which is now a deduction on taxes. Website Hosting $10-15ish a month for a website that serves as a glossy portfolio of your services, with resumes that can be download (both an uneditable .pdf for recruiters before you agree to be submitted for any gigs, and an editable .docx for those that you’ve agreed to work with). I've had many recruiters ask me to send them my resume, and when I did their respose was 'My Outlook weeded it out', so it's easier to just say 'Go to my website and download it. WebEx Video Conferencing Services – For $240/year I am able to have web and phone conferences with anyone I choose, up to eight people. Invaluable for remote clients, especially in snowy Minnesota. Fast Fact: When doing WebEx presentations with clients, make sure your Outlook is closed, so you don't get any emails displayed that might embarrass the client, such as one from The Onion titled 'Sexually Frustrated Woman Just One Of The Guys'. Trust me on this one. Training and Conferences – Remember, your’re on your own! To paraphrase a certain President, If you like your TechEd, you can have your TechEd. PASS Summit? No problem!! Just remember that in addition to the training costs is the lost income, as there’s no such thing as getting paid for not doing the work. This includes certification books and exams. Medical Benefits - Can be expensive for an individual family plan, nothing if you have a spouse with a medical plan you can join. Gym memberships, manicures, dining and entertainment expenses, company booze cruises - Don’t push your luck. You still want to run your business in such a manner that the IRS would not have any issues with what you’re doing. With a payroll provider like Paychex doing your payroll tax filings, the only ones you have to manually do are quarterly and yearly, federal and state, and maybe sales use or unemployment compensation based on your state. Keeping good records, especially on expenses, will make this process somewhat painless. Expenses you can completely deduct against income (not a definitive list): Hardware, software, publications, exam fees, training, conferences, business cards, services like LinkedIn or WebEx, mileage, and home office deduction. Speak to your CPA about how to reduce your tax burden in your state, and make sure they deal with small businesses to they can help you get every last deduction. Now that you're no longer tied to a company's logo, mission statement, or whatever buzzword bingo slogans, you are free to develop your own identity, and plaster it all over your website, business cards, and social media postings. Have fun with it! Hiring managers – Generally everyone manager and above that offer contract work. They regularly hire for what you do, and if you're connected to them on LinkedIn they will read your status changes. Others that do what you do, and monitor where they land when they change gigs. Anyone working with a consulting company that does what you do. Company recruiter staff – If they contact you about a gig, then you’re on their radar. Usually I avoid recruiters, but a staff recruiter means no middleman expecting a margin. Large independent recruiters such as Robert Half, TechPro, TekSystems, and Analysts International. If you’re starting your career then you will likely have to work with them, but keep in mind they take a margin of anywhere from 30-50% on your services, which is money out of your pocket. They know many other candidates that do what you do, and are motivated to make a commission and not necessarily what's in your best interests. Job Fairs - I personally have had very little success with job fairs, as they are hiring for a wide range of positions, many of the people that run booths at job fairs are not technical, and your resume will get dumped in a pile of 200 others. This is especially true if your skillsets are such that you can't demo work you've done without a pc. LinkedIn – Basically a resume with Facebook. I've had a couple of business owners contact me directly on LinkedIn that led to excellent projects, including a bank, financial services company, and a custom Kilts and other fine Celtic merchandise retailer. Also if you're doing targeted searches their Premium Services has enhanced searching and increased 'InMail', which means emailing people blind. Disclaimer: If you’re currently employed full-time and looking, it’s not always the best idea to be connected to your current employer, and especially current bosses. Consider quietly disconnecting from these people. Technical bulletin boards and Q&A sites such as Experts-Exchange. Many of them prohibit direct solicitation, but they are usually okay with a decent profile page, and answering questions in such a way that it’s clear you know your stuff, and am available for extra work. Your local chamber of commerce, although this can depend widely on what your skills are, and whether a population of business owners across a wide spectrum (think McDonalds, Spiffy Printing, Big Bank, and Crazy Johnson's Trampoline Park and Emporium) would be an effective use of time. Excerpts of this article are used in this Dice.com article Marketing Tips for Independent Tech Pros by Leslie Stevens-Huffman. Thank you for reading my article, feel free to leave me some feedback regarding the content or to recommend future work. If you liked this article please click the big green 'Vote this article as helpful' button at the bottom of this article.